How are you spending you weekends? 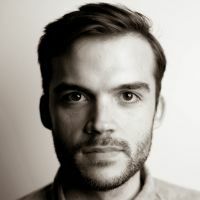 Gabriel Nderitu, an I.T. 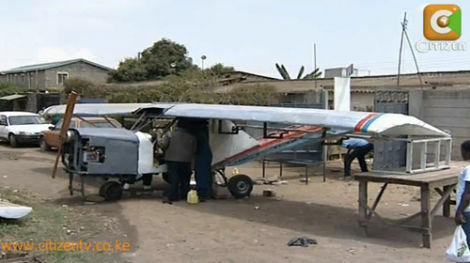 specialist in Kenya, has been spending his building an airplane, from scratch, in his backyard. The only question is: Will it fly? Nderitu's plane should be taking its first test run sometime in the next few days, according to this news story from Kenya Citizen TV. If it's successful, he'll be the first person in Kenya to build an airplane. He spent the last year working on weekends with the help of a few men he employed as welders. It's spent most of that time in the backyard of his compound in Kahawa West, a neighborhood in the Kenyan capital Nairobi, until he finally wheeled it out last week for the cameras. And, well, it doesn't look like the sturdiest thing in the world, does it? But what do I know? I spend my weekends writing complaint letters to ABC about the Lost finale. Not building airplanes.